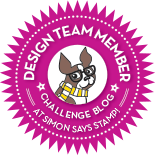 Thank you for joining us for the Stamp It Challenge and we hope you will all join us again this week too. This week the challenge is to pop it up. You can choose to use 3D Foam or a Pop Up element on your creation. 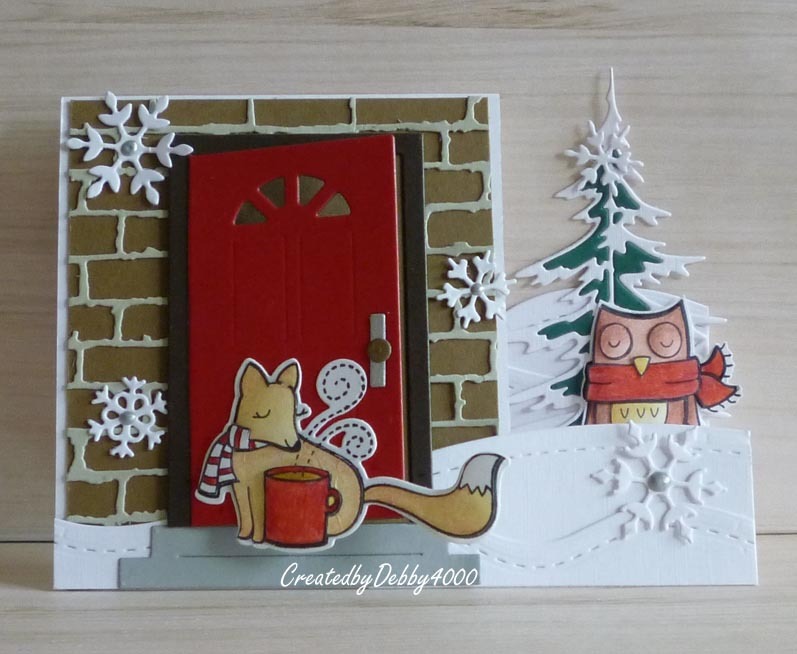 I made this side step card a couple of weeks ago hope I can remember what I used! 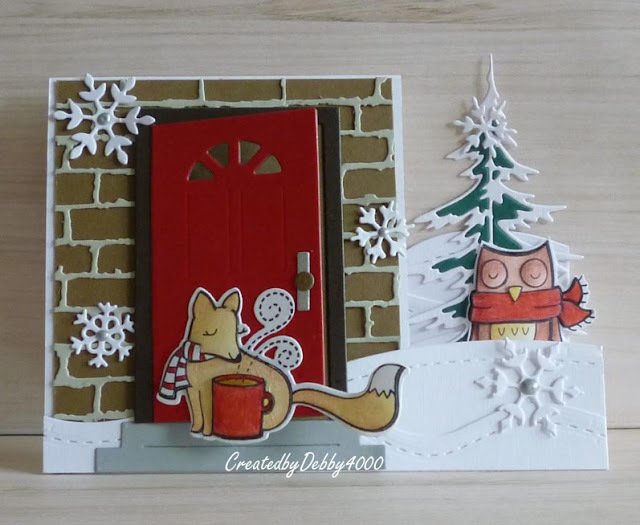 So I made the side step card using this tutorial in white then it was time to decorate. I knew I was going to use Lawn Fawn Shut the Front Door die but I need a brick wall for it to go on so I used the Tim Holtz Mixed Media 3, I cut it twice. There is a join above the door but the rest is hidden behind the door. The stitched slopes and hills of snow are using the Simon says Stamp stamp dies of the same name. I needed a tree but most of my dies are retired and not available in SSS but the Tim Holtz Woodland trees are in stock at the moment and I cut it twice once in white and then in green. I place some tape behind the white tree and pieced the green in the spaces. My Lawn Fawn Winter Fox was place on the door but the door could still open with him on it. My Lawn Fawn Winter Owl isn't quite to the fox's size but since I didn't have the dies and had gone through the trouble of cutting him with a border so I was going to use him anyway. A darling scene, Debby, love how everything works together so well! Oh what a fun, darling card! Such a fun card! I love the door that opens to your sentiment. I just love this scene Debby! The hidden sentiment is perfect!